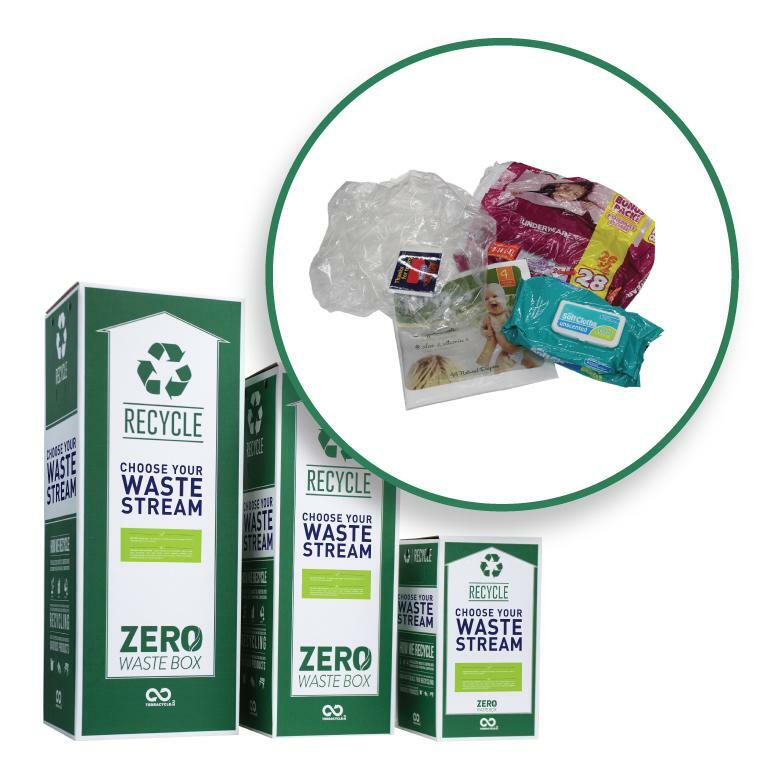 No Separation Zero Waste Boxes are the easiest way to recycle everything in your home or office. Simply put all your non-hazardous, non-recyclable and non-organic waste into this box, then send it back to TerraCycle. No Separation Zero Waste Boxes are the easiest way to recycle everything in your home or office. Simply put all your non-hazardous, non-recyclable and non-organic waste into this box, then send it back to TerraCycle. Once we receive your box everything inside will be recycled. The collected waste is mechanically and hand separated into fibres (like wood and coated paper), fabrics (like cotton), metals, plastics and other materials. The resulting fibres will be hydropulped to separate out coatings (like wax and plastics). The separated fibres will be recycled into new paper products, or composted if recycling is not possible. The resulting plastics will be recycled into plastic polymers. The separated fabrics are reused, upcycled or recycled as appropriate. Metals are smelted for steel making. Flexible and rigid plastics undergo extrusion and pelletisation to be moulded into various recycled plastic products. 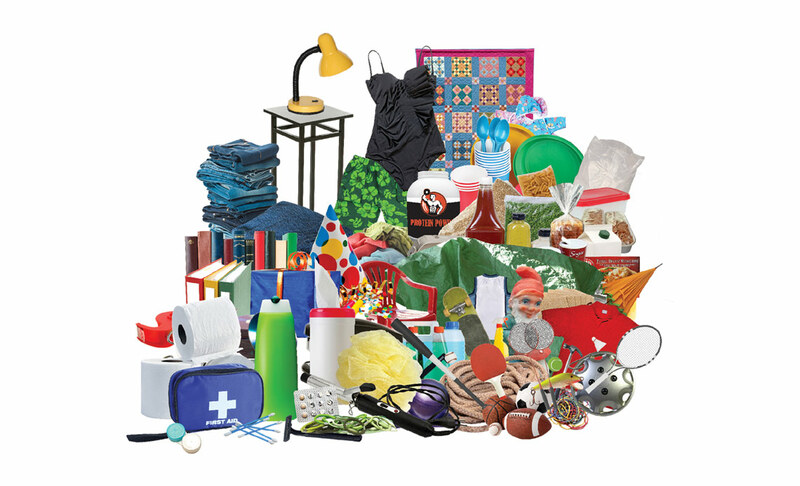 Other materials, like glass or rubbers, will be recycled as appropraite to that category of waste. Please take note of what is recyclable in your local recycling system when using this programme. All categories of waste are accepted in this box without the need to sort or separate. include aerosol cans or solvent/hazardous material such as drain cleaners, oven cleaners, toilet cleaners, disinfectants, degreasers, all purpose cleaners, detergent, electronic waste, bleach and fabric softener. Please note that we will not accept organics, broken glass, bio-medical waste, soiled nappies, expired medication, pesticides, paint, pressurised canisters, and medical sharps in any of our boxes. Please send traditional recyclables through your local council system.